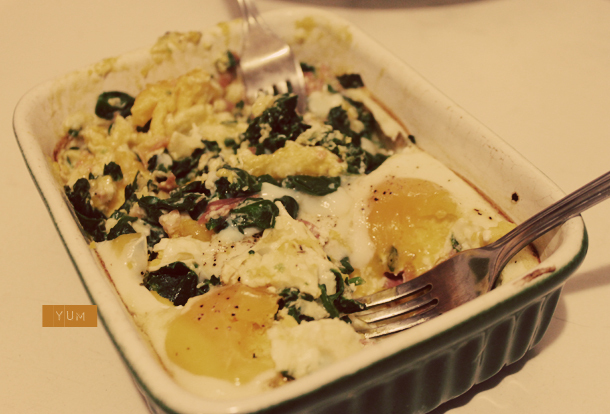 Ever since Jen Gotch told us how to make these baked eggs, I've been hooked. I made them for J two nights in a row. And by "I made them for J" really means I wanted to try them and can't stop eating them. What more do you need? 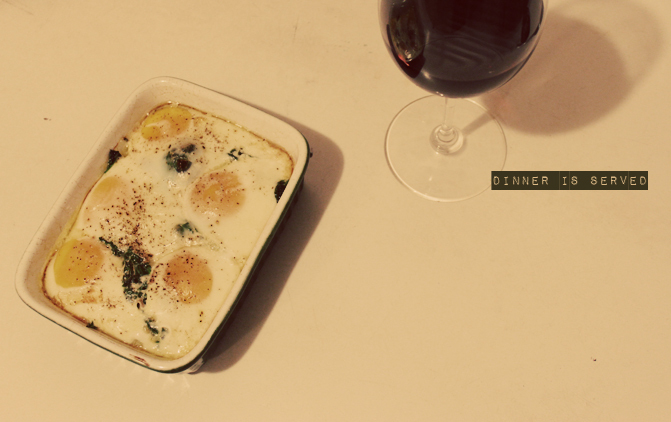 wine (duh), eggs, spinach, salty meat + more salt. YES. I'm so happy she shared this little recipe on Bri's blog.